Grab a roaster chicken and some kitchen shears along with your favorite seasoning, and we’ll show you how to spatchcock a chicken. Our president, David Townley, and his daughter, Madolyn, are pro Egg chefs and make spatchcocking a chicken look really easy! We’re so excited to introduce you to the Bourbon Infused Smoker BRICX! What Makes the Big Green Egg So Great? product! Check out these four videos and see just what’s so cool about the Egg. 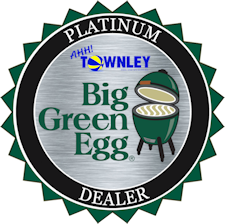 https://townleypoolandspa.com/wp-content/uploads/2017/12/big-green-egg-1.jpg 1112 1800 Townley Pool & Spa https://townleypoolandspa.com/wp-content/uploads/2016/11/logo-1-300x138.png Townley Pool & Spa2017-12-28 12:25:352018-07-19 14:21:45What Makes the Big Green Egg So Great? One of the healthiest ways to cook is grilling. Not only is it flavorful, but it uses less fats and oils to cook your food. Isn’t dad the best? Yes! And, that why we’re going to help you pick the perfect Big Green Egg for dad. Whether it’s Father’s Day, a birthday, a holiday, or just because, dad is sure to love the best smoker, grill and oven on the market. In fact, it’s the only outdoor ceramic kamado style charcoal grill he’ll ever need. Let’s look at how to make his wishes come true. https://townleypoolandspa.com/wp-content/uploads/2017/06/egg-2.jpg 628 1200 Townley Pool & Spa https://townleypoolandspa.com/wp-content/uploads/2016/11/logo-1-300x138.png Townley Pool & Spa2017-06-12 14:16:312018-07-16 14:14:50Isn't Dad the Best? Are you ready for non-stop grilling? Check out these tips for a great grilling season so you can get off to a great start!